Delphinium V 2018 / 30x40cm / Watercolour by ©janinaB. 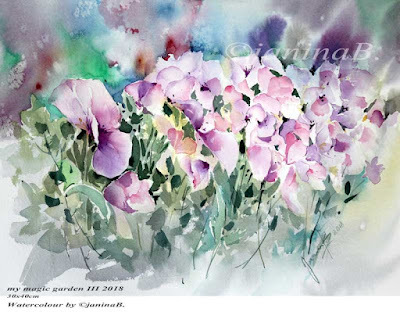 my magic garden III 2018 / 30x40cm / Watercolour by ©janinaB. 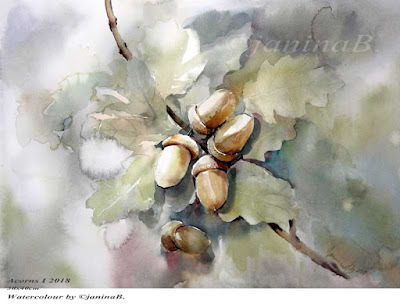 Acorns I 2018 / 30x40cm / Watercolour by ©janinaB. 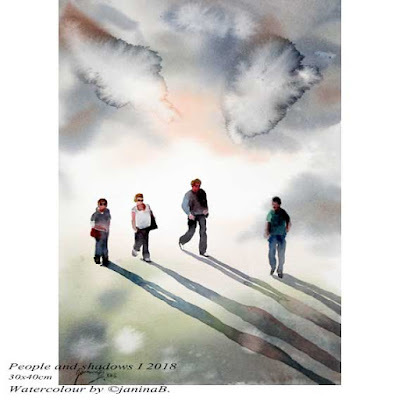 People and shadows I 2018 / 30x40cm / Watercolour by ©janinaB. 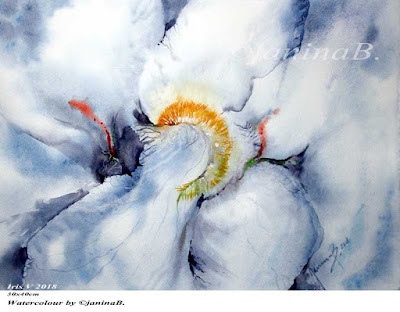 Iris V 2018 / 30x40cm / Watercolour by ©janinaB. 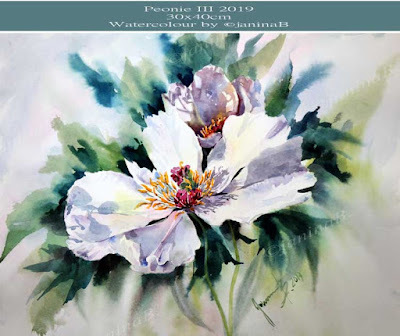 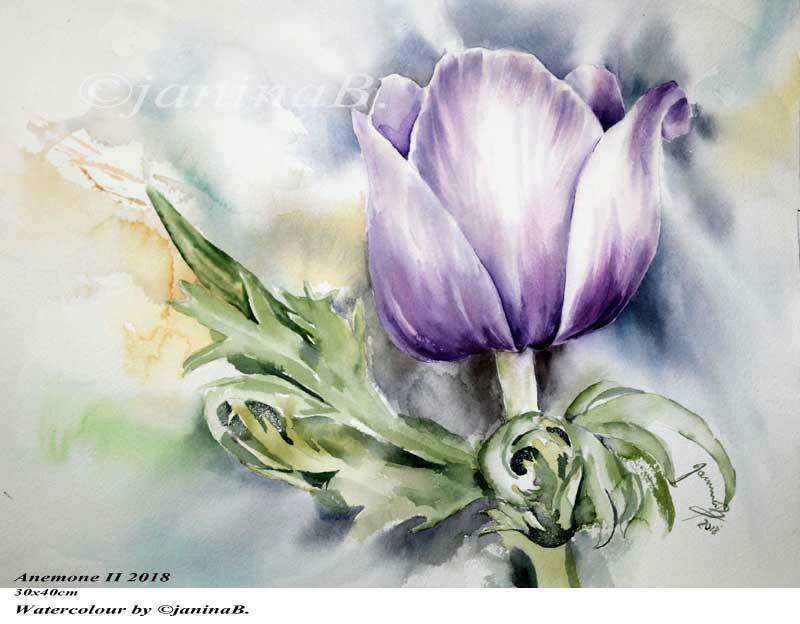 Anemone II 2018 / 30x40cm / Watercolour by ©janinaB. 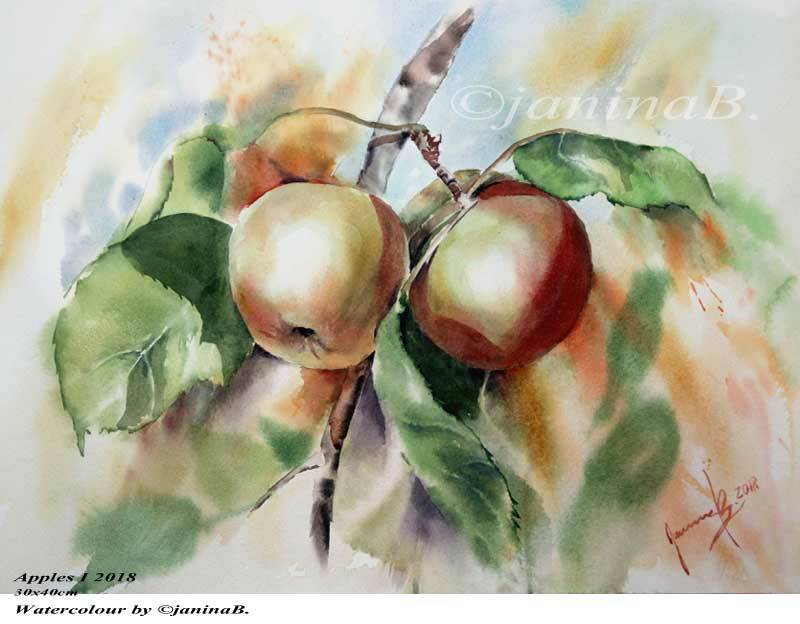 Apples I 2018 / 30x40cm / Watercolour by ©janinaB. Delphinium IV 2018 / 30x40cm / Watercolour by ©janinaB. 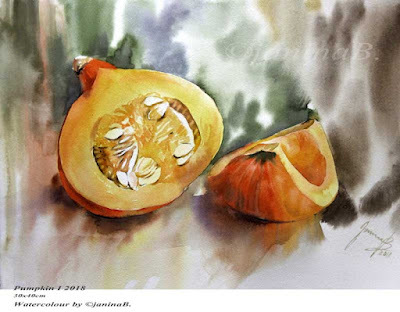 Pumpkin I 2018 / 30x40cm / (22) / Watercolour by ©janinaB. 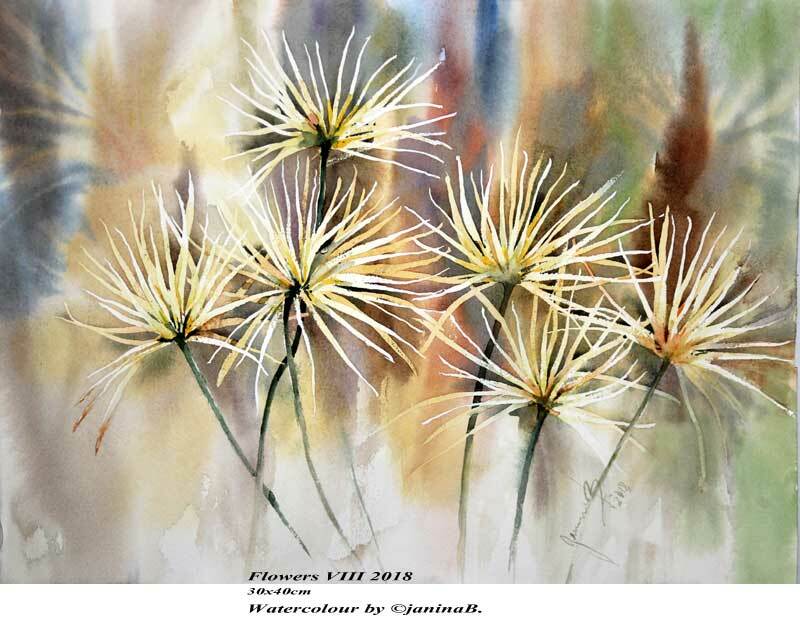 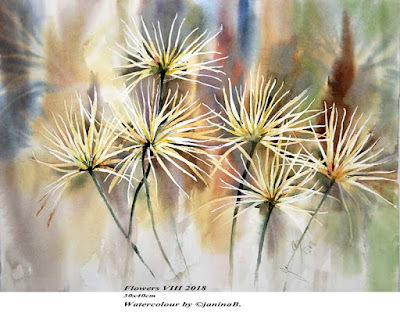 Flowers VIII 2018 / 30x40cm / Watercolour by ©janinaB. 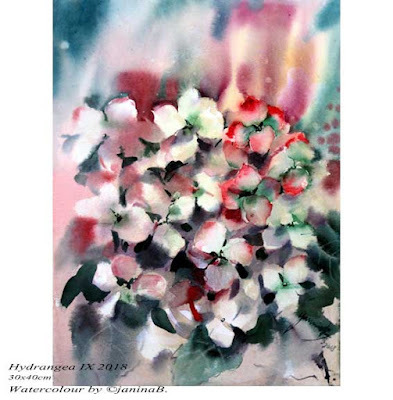 Hydrangea IX 2018 / 30x40cm / Watercolour by ©janinaB. 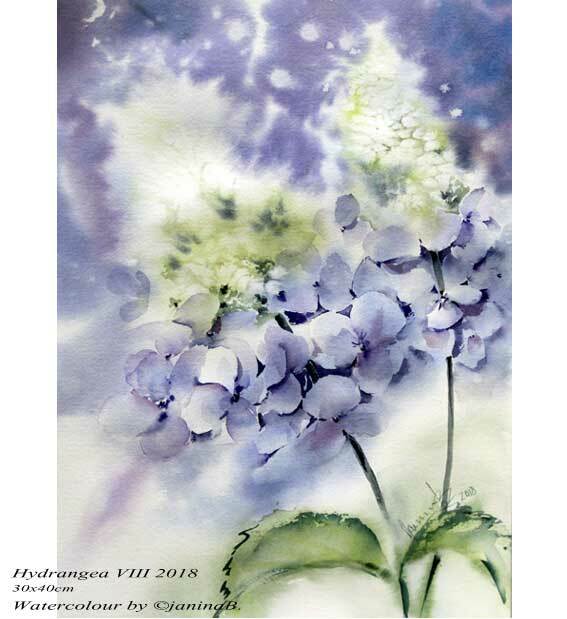 Hydrangea VIII 2018 / 30x40cm / Watercolour by ©janinaB. 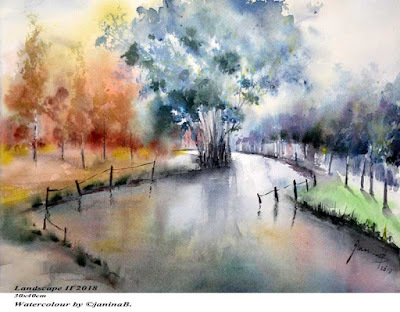 Landscape II 2018 / 30x40cm Watercolour by ©janinaB. 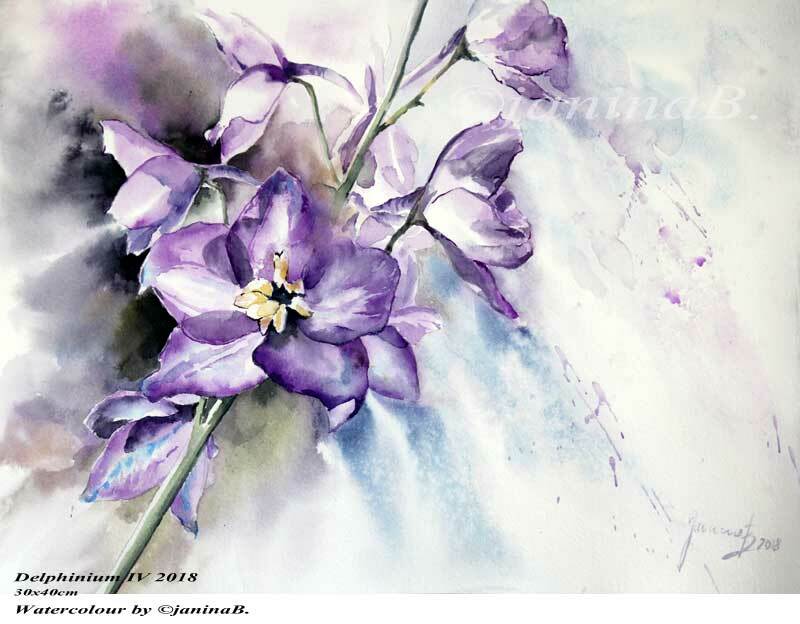 Delphinium III 2018 / 30x40cm / Watercolour by ©janinaB. 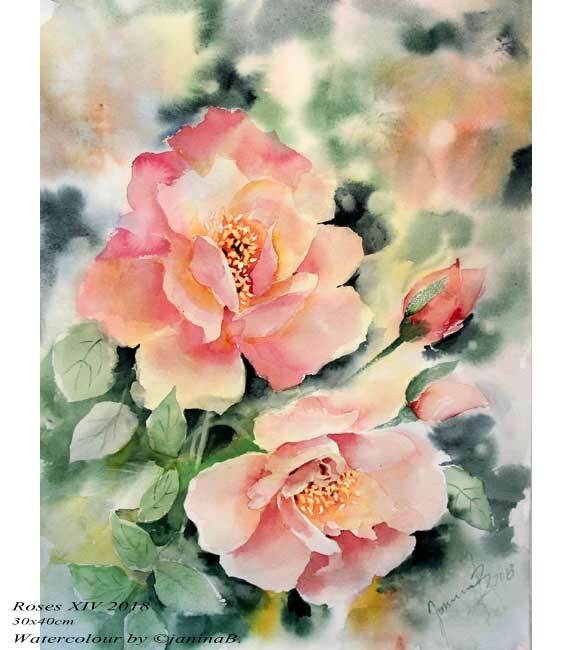 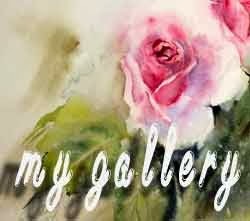 Roses XIV 2018 / 30x40cm / Watercolour by ©janinaB. 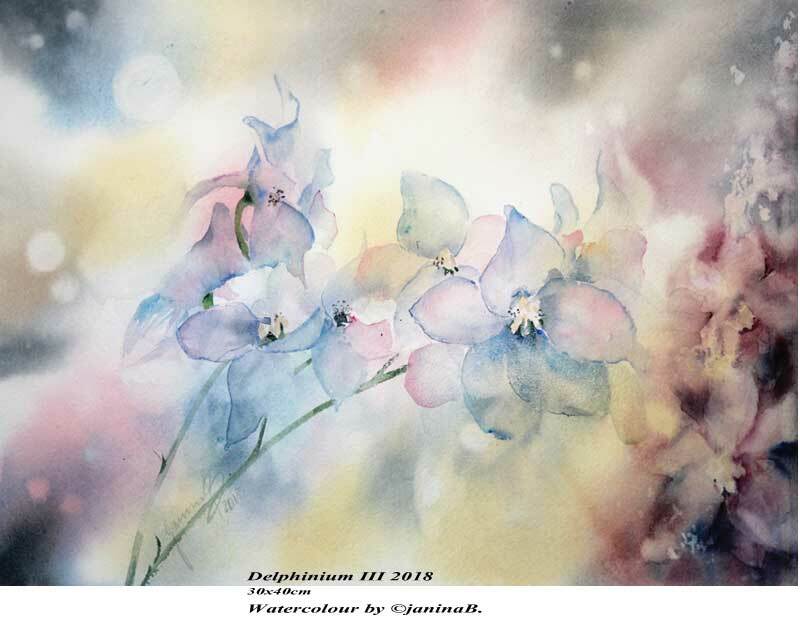 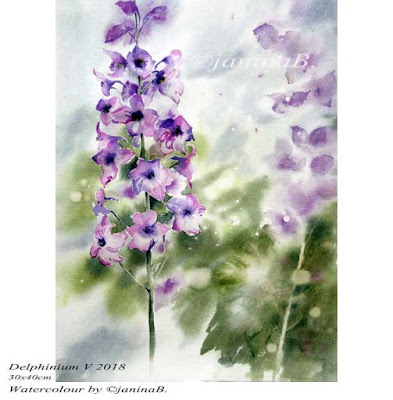 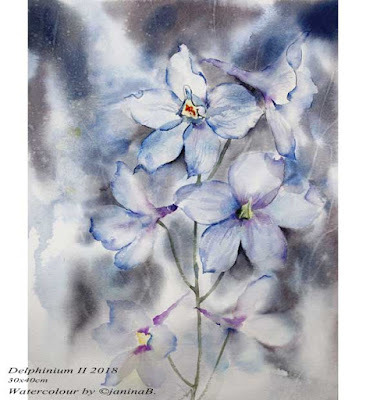 Delphinium II 2018 / 30x40cm / Watercolour by ©janinaB. 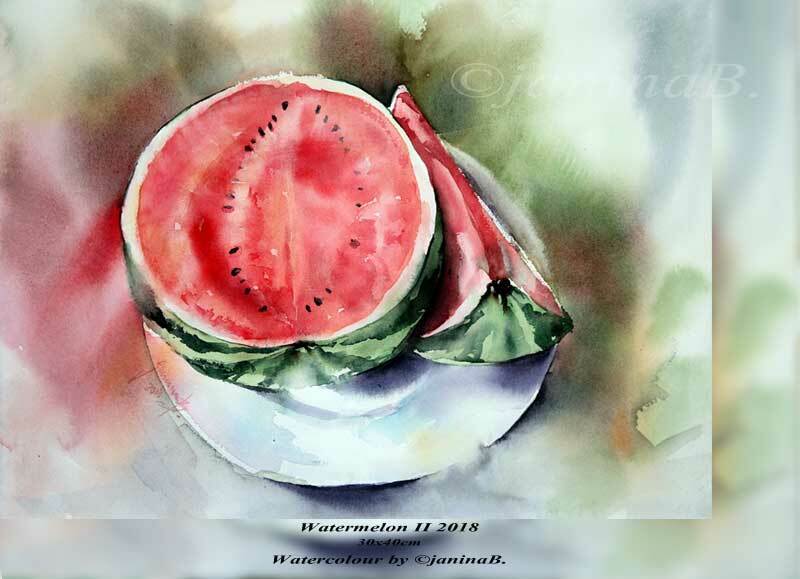 Watermelon II 2018 / 30x40cm / Watercolour by ©janinaB. 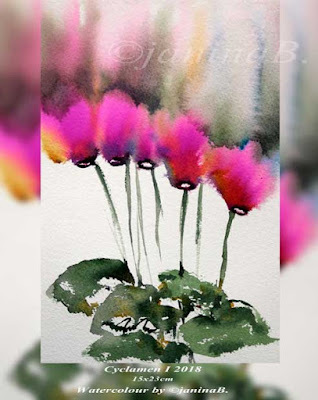 Cyclamen I 2018 / 15x23cm / Watercolour by ©janinaB. 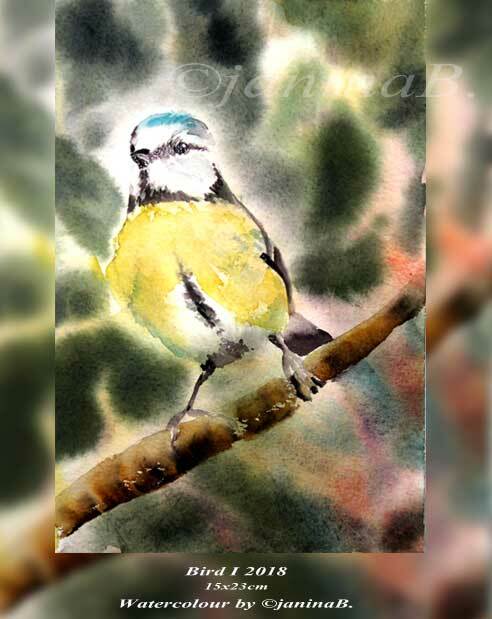 Bird I 2018 / 15x23cm / Watercolour by ©janinaB.